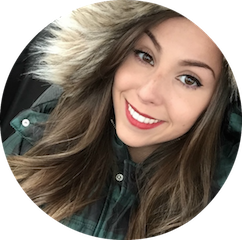 Complimentary from Influenster I was able to test out BECCA’s Under Eye Brightening Corrector. 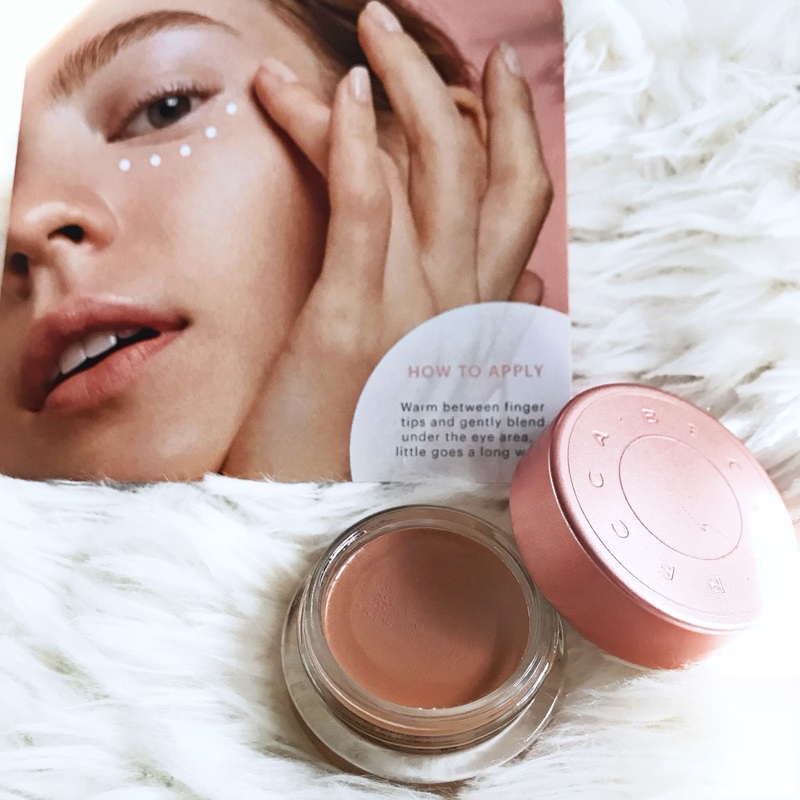 To be honest I’ve never heard of the company BECCA so I was pretty skeptical when I read that this product would eliminate the darkness under my eyes but I cannot believe the difference it makes in my look. There are 2 shades to choose from: light/medium or medium to dark. I got the medium/deep. 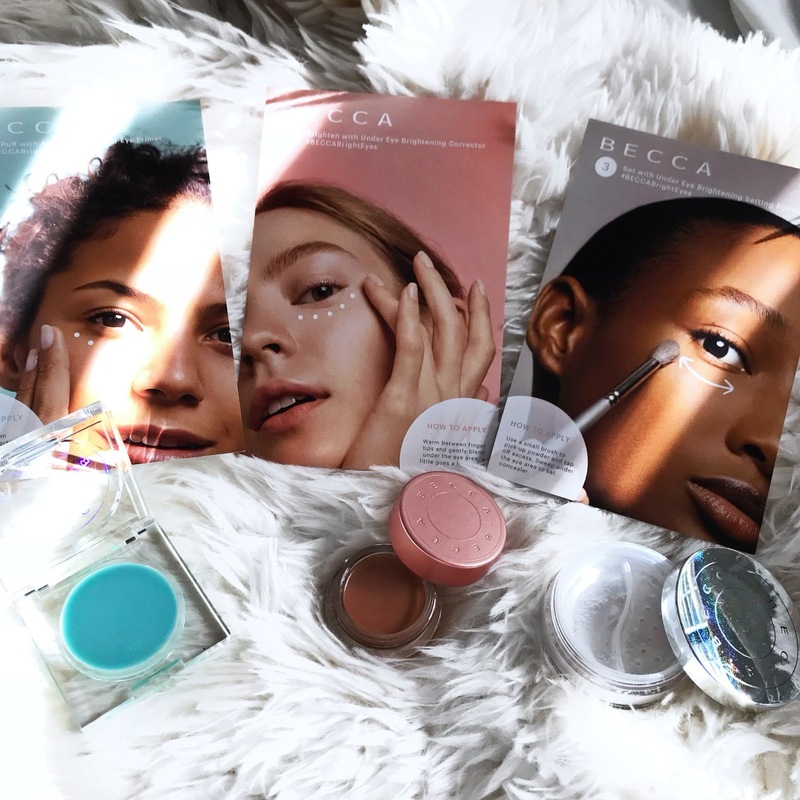 In addition to the Eye Brightening Corrector I also received the BECCA Anti-Fatigue Under Eye Primer and BECCA Under Eye Brightening Setting Powder. The consistency of the Corrector and the Primer is like butter, it’s silky smooth. It blends so nicely into my skin leaving my under eye looking refreshed and bright. De-puff with Anti- Fatigue Under Eye Primer by swirling and warm the product between fingertips. Pat your under eyes and along your orbital bone, make sure you avoid your lash line. 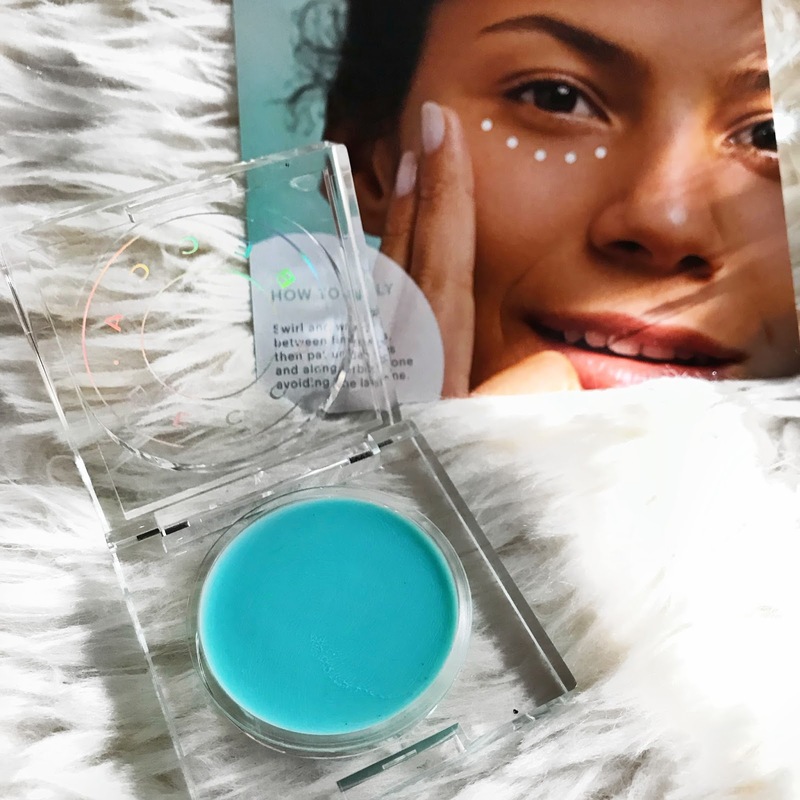 After you’ve applied the beautiful cool mint blue primer, then it’s time to brighten with the Under Eye Brightening Corrector by warming the product between your fingers and again gently blend under the eye on-top where you added the primer, and trust me when I say a little goes a long way! 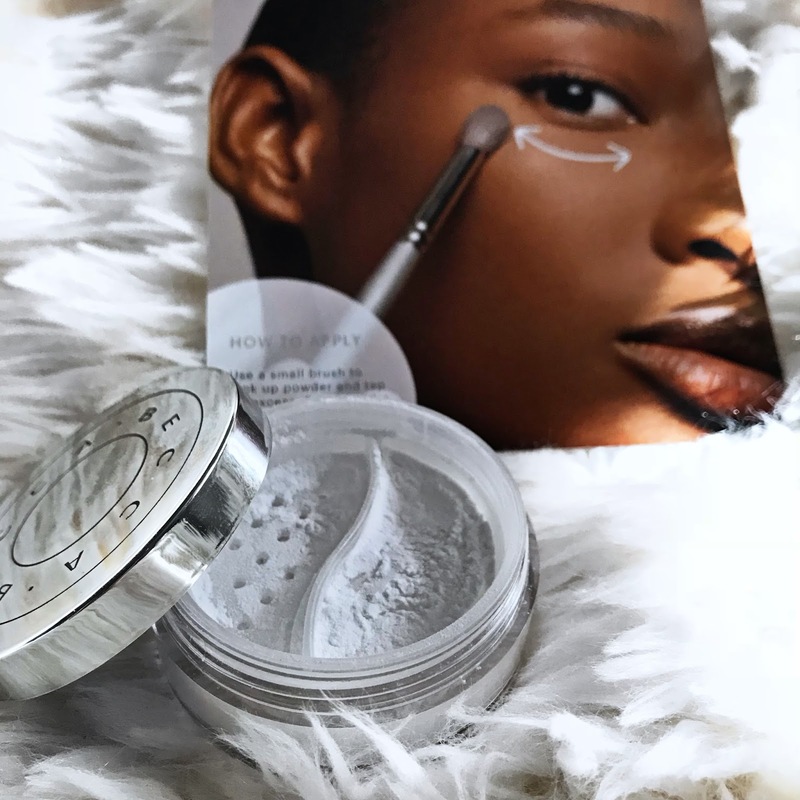 Finally it’s time to set our eyes with the Under Eye Brightening Setting Powder by using a small brush to pick up powder and tap off the excess. Then sweep under the eye area to set the corrector. You can use it on its own for a more natural look or use it with a concealer on top for extra coverage. It’s a little on the pricy end but I think it’s worth the investment if this is something you struggle with. It actually works and like I said before, a little goes a long way so this will last me a long time. I’d definitely purchase in the future and recommend to family/friends/readers.